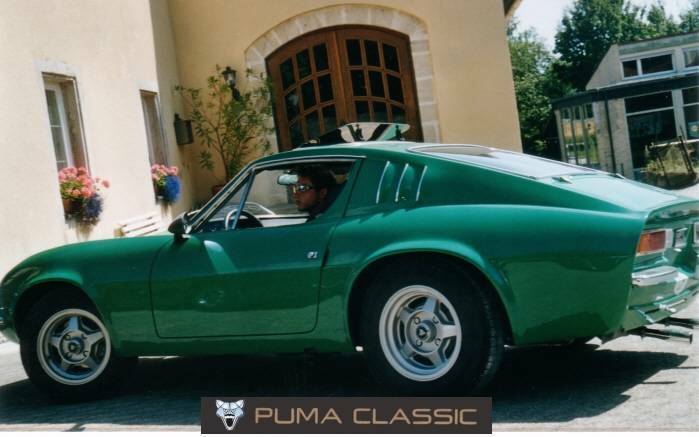 The Car is a 1973 PUMA GTE Coupe owner is our swiss member Georges. A really interesting detail on this car is that it has a IRS Axle like you find them on the VW 1303 Superbeetle. It´s believed that this was a conversion done by its former owner. The cars original colour is green and I found some pictures from our anual meeting 2004 in Switzerland and from our 2006 Meeting in the Blackforest showing this car which I sent you via mail. At that time the car still had the old original paint which was faded and cracked at some spots. It has been resprayed in 2006 and the Mirrors have been changed to chromed ones on the fenders. O carro é um Puma GTE 1973 Coupe, o proprietário é o suíço Georges, nosso sócio. Um detalhe muito interessante sobre este carro é que tem um eixo de IRS como você poderá encontrá-los nos VW 1303 Superbeetle. Acredita-se que esta conversão foi feita pelo seu antigo proprietário. 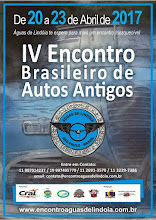 O carro tem a cor original verde e eu encontrei algumas fotos da nossa reunião anual de 2004, na Suíça e da nossa Reunião na Blackforest em 2006 mostrando este carro, que lhe enviei via e-mail. Naquela ocasião, o carro ainda tinha a pintura antiga e original que estava desbotada e rachada em alguns pontos. Foi repintado em 2006 e os espelhos foram alterados para os cromados nos para-lamas.